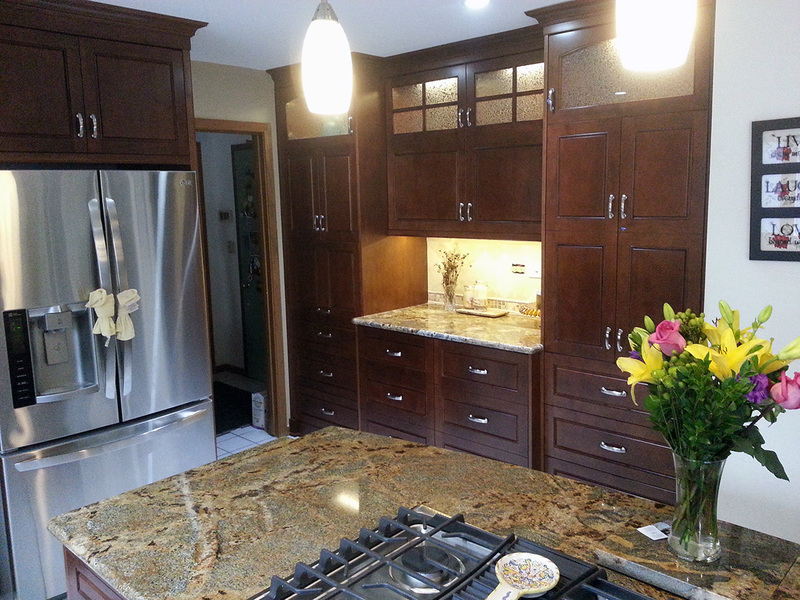 Maple Wood with Light Walnut Stain applied to cabinets. 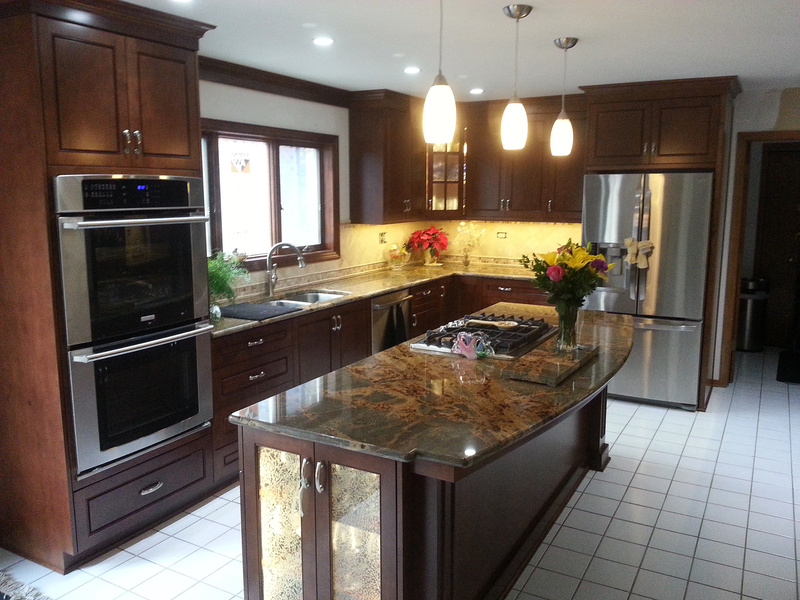 Lovely Traditional Kitchen Remodel in Flossmoor, IL. Maple Wood with Light Walnut Stain applied to cabinets. Raised panel door style with small scoop detail. 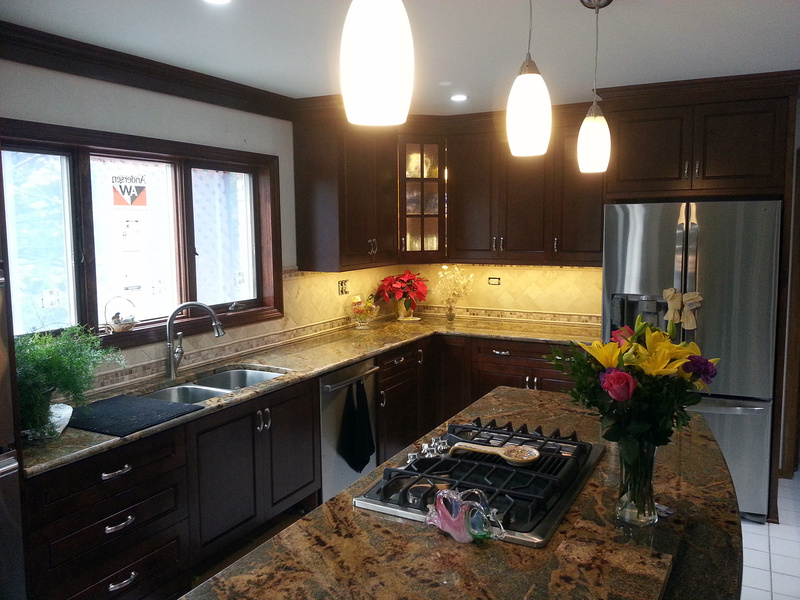 Upper Cabinets have clear glass inserts with mullions creating a lighted area to display vases and glass ware. Crown Molding finishes off the Traditional design. The corner cabinet with lighted glass inset creates interest. The large Island cabinet has a convenient work counter and cook top to create that special dinner.